I first heard of Caraval when I received a promotional postcard in one of the book boxes I am subscribed to. It claimed fans of The Night Circus would love Caraval and as a massive fan of The Night Circus this immediately peaked my interest and Caraval quickly became my most anticipated book release of 2017 and I'm glad to say that it did not disappoint! Caraval is a magical 5 day game put together by the mastermind Legend. 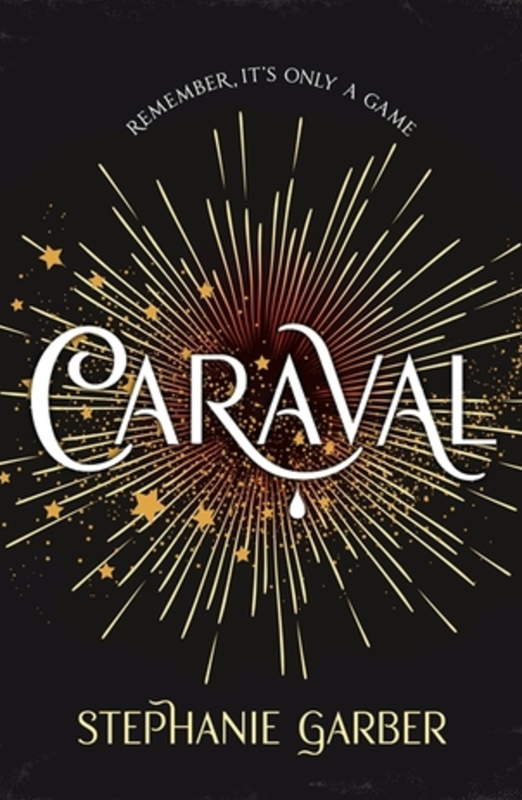 People come from all over to compete in Caraval for a chance to win a fantastic prize, although many come just to spectate as the event is so full of magic it promises to create a great adventure for all those who attend. Scarlett has long dreamed of going to Caraval but is about to give up hopes of ever attending as she is arranged to be married, that is until she is sent tickets from Legend himself a week before the wedding. Stephanie receives three tickets, one for herself and her sister who are both terrified of how their tyrant dad will react to them leaving the island, and a third ticket that is meant for Scarlett's fiancé but instead ends up being given to the mysterious sailor who has appeared on their island as payment for passage to the island where Caraval is held. Upon arrival at Caraval Scarlett's sister has vanished, it appears she has been kidnapped by Legend as part of the game and the winner of this years Caraval is the first person to be able to find her with only a set of five cryptic clues to give any indication to her whereabouts. 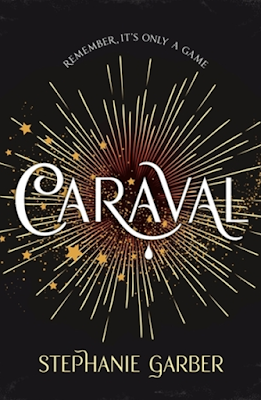 The world created in Caraval is beautiful and magical, very reminiscent of the style of magic seen in The Night Circus, romantic, beautiful and mysterious, but there is also a distinct underlying feeling of something darker there. I'm also put in the mind of Alice in Wonderland style fantasy when reading this and a few times I imagined Legend as being a Mad Hatter type figure. Stephanie Garber has a beautiful writing style too with long descriptive sentences that really help enhance the magical feel of the book and picture it clearer. There are often times when I felt like I had been whisked away, in particular there is a moment where a cider drink is being described and I instantly wished I could be drinking it myself. I am so incredibly happy with this book as it was everything I expected and more. The story is gripping with lots of twists and turns which gets emotional at times and it's wrapped up in such a gorgeous magical package I can't fault it. If you loved The Night Circus please do yourself a favour and read this immediately, and even if you haven't I still recommend picking this up! Ah! I STILL need to get my hands on this one!! I'm so glad to see you loved it! !